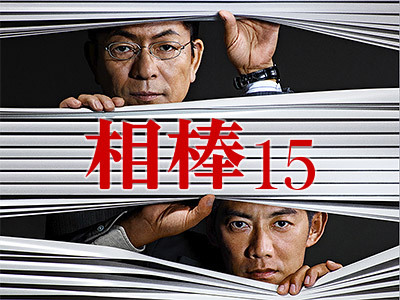 After being dismissed by the Ministry of Justice, Kaburagi Wataru (Sorimachi Takashi) is officially assigned to the Tokyo Metropolitan Police Department. It is believed that he will be appointed to a more senior position than Sugishita Ukyo (Mizutani Yutaka) after completing training at the police academy. However, Kaburagi is sent not to the Special Missions Section, but to the Public Relations Division headed by Yashiro Miyako (Nakama Yukie). Kaburagi officially becomes part of Special Mission Unit. I miss Yonezawa from Forensics. They finally gave Kakuta something to do besides get coffee and trade one-liners. His episode was probably my favorite. But the special episode that followed it was one of the weirdest episodes of "Aibou" I've ever seen! Awesome series...the best como yet!